Roses are not my favorite plants (rose petals are not that nice), but my nabour’s rose bush has scored some major browny points today. 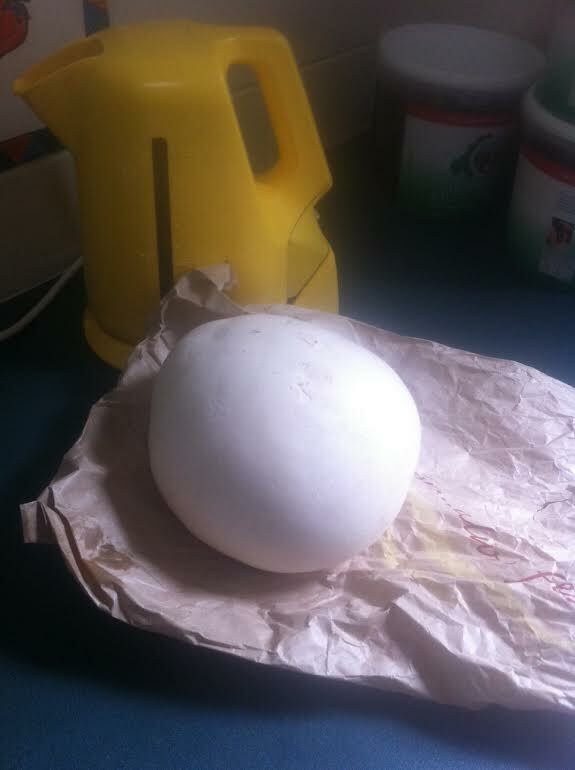 As he went out to pick a rose for his dear wife, he found TWO Gaint Pufballs (Calvatia gigantea) growing under the rose bush. One of which he was kind enough to bring to me for dinner. Cutting it into strips then dipped in egg and fried with a few strips of pancetta mixed with tagliatelle makes wonderful “Tagliatelle ai Funghi” His wife unfortunately is still waiting on her roses.